Last Saturday afternoon, I was about as grumpy as I’ve ever been. Despite the physical ease of surfing a desk at work, weeks (months, years!) of early morning starts had taken their toll. The afternoon was looking like a write off. The midday power nap (with a pre-nap coffee chaser) hadn’t helped. In fact I felt worse for it. I could barely get off the sofa. Grey thoughts clouded through my mind. Our chatty 8 year old (let’s call him “Elmo”) chewed by ear off about the next naff Kindle Fire app he needed and our belligerent 15 month old (“Semo”) voiced her displeasure at the passing heatwave with a siren-like wail. And that was my wife. Of course I jest. She wouldn’t do that. I hope she wouldn’t do that. Whether through wisdom, compassion or frustration with her moping husband, Mrs Mont (actually Dr Mont, natch) forced me to take the 8 year old out for a bike ride, with Miss 15-Months-of-Fury in the bike seat on the back. Whilst I’d fixed my son’s flat tyre last week, I’d failed to get the wheel back in place without the brakes rubbing. Apparently he’d ridden the bike mid week and there was still ‘an issue’ with them. We’d also have to broach the Herculean task of applying suncream to a toddler. But my wife pushed me out of the house to look at Elmo’s bike. It turned out the brakes issue was not with the rear wheel, which now seemed to rotate without rub. Instead it was the front brakes. The cable holding them in tension had come unclipped – it was a simple job to rehook it in place. A double team approach got the suncream on the squirming infant. We were good to go. We only rode a few kilometres down a country lane to a friend’s house. Elmo has only recently started riding on the road, so I had the opportunity to deliver plenty of road safety advice to him in my most patronising pater voice. Semo and me pootled along on my lumbering Scott hybrid. The turn of a few pedals. The breeze offsetting the beating June sun. The restorative mini milk ice lolly from our friends that Semo refused to put anywhere near her mouth so Daddy had to consume instead. I wouldn’t say that I returned a changed man. It got me out of 21 Grump Street though. The restorative effect of even the lightest of bike rides. It’s fair to say that cycling has taken a back seat to other priorities this past year. Semo has entered our life (and proceeded to significantly disrupt it). I wasn’t working when I started this blog. Now I am. The hours are quite long and there’s a fair amount of commuting (sadly none of which can realistically be undertaken on a bike). Trying to get our house and gardens into shape (we bought a ‘project’…) seems to take up a lot of each weekend (or those bits of weekend when we’re not shuttling the other kids to birthday parties and sports activities…). The combination of low activity levels, too much time staring at screens (in both my professional and personal lives) and a deterioration in my diet has caused me to get a little ‘soft around the edges’. But this is not to complain nor make excuses. Fug that. Instead, I stand here with a flag (probably with the Yorkshire rose on it) and I’m planting it in the sand mud. It’s time to prioritise my health. My cycling. My happiness (bit strong?). Probably not over my family (I’d like to do more cycling with my family), but definitely over work (or excess work) and unnecessary time spent on the activities of the liberal elite (browsing Twitter). I’ve not been doing too bad so far on my ‘Choose Bike’ lifestyle plan. My Strava account tells me I’ve done 8 rides in the past fortnight. None of them have been long, but that’s 152km I wouldn’t otherwise have ridden, and 5 hours and 7 minutes of exercise targeting my softer edges. Add to that the two leisure rides with kids tagging along and/or sitting on and you could be forgiven for thinking I’ve got the beginnings of a habit going on. Of course, June (and a warm and dry June at that) is the easiest month to combine outside exercise with a busy life. Longer evenings allow rides to take place after work is done and kids are in bed. The challenge is carrying it through into the colder, darker months. No need to think about that now though. The summer stretches ahead. The Tour starts next week. A bike ride beckons (a lunchtime one today methinks). How is your cycling going? Have you been taking advantage of the warmer weather (if you’re in the northern hemisphere)? Any big rides or cycling trips coming up? I’m definitely less soft around the edges and happier this year. Hope you manage to keep up the cycling, Mont, but not to the detriment of your blogging, obvs :-). Well done on getting the cycling mojo back! Been there, had the kid, got too fat and started cycling on the Lincs fen roads. Not inspiring. Then we moved to Cornwall… hills, and lots of them. In fact we live on one. I was lured by hubby into the local bike shop with promises of sweet sugary snacks (which turned out to be gels…yuk!) and inserted onto a Trek road bike. Revelation! I loved it! I cycled more, I dropped a dress size and felt soooo much fitter! Two and a bit years on I’m increasing my miles, did Dartmoor Classic’s baby 36 miler last year and now face the 67 mile route this Sunday! (Can anyone smell ordure? Sorry, it’s me!) And am in turn worried and excited. I did my first 60-odd miler two weeks ago…so we’ll see. I’m in my 60s, so hopefully my granny gears will get me up the hills and if they fail, there’s always my granny legs! Good to read another of your blog installments! It’s comforting (and I’ll admit, inspiring) to hear you’re going through a similar cycling season. We recently moved from Belgium (God’s cycling country, don’t listen to the Dutch) to a new career in Kyrgyzstan. There’s a nascent cycling community here and glorious mountains to climb, but the roads are treacherous for those of us on bikes; drivers here are downright terrifying. I’ve been aching to ride, but the bike arrived just two weeks ago and I haven’t found a way to fit even commuting into my rhythm yet. Suffice to say, I need the stress-relief of riding, and your reminder to keep at it and find minutes here and there is well received. I am completing the Great Cycle Challenge 2017. This is a fundraiser event for children’s cancer reasearch and a month long cumulative bike ride(s) I will finish the month haven ridden 800 miles. A personal best and my first century ride! Very happy with June! I am a fair weather cyclist – my bikes do not come out of the garage from the first cold spell in October to the first warm one in March or April. And by February, I’m really feeling the lack of daylight and exercise. It’s only after the first great ride of the year I realise just what a tonic cycling is. It lifts my spirits, gives me colour and vigour. Here’s my story. 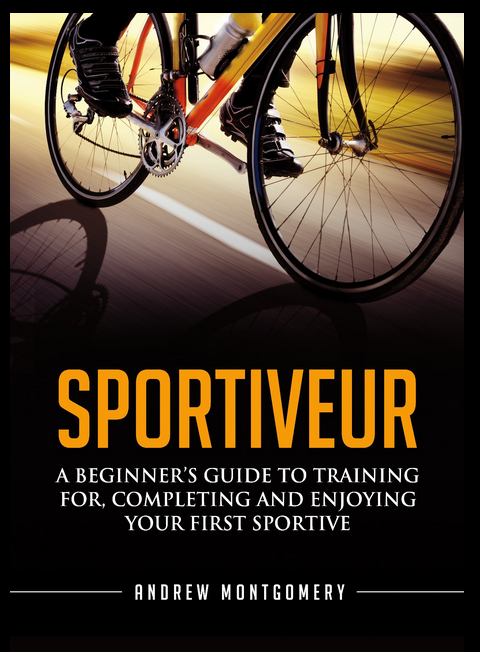 I only started cycling a few years ago when my two teenage sons took an interest in cycling as a sport rather than just as a means of transport to their mates house. I felt they needed road safety advice and I needed to be sure they were as safe as they could be on roads so I would accompany them along off road trails and quiet lanes. When they regularly outpaced me I decided they needed to ride with faster, more experienced riders. I contacted our local club and accompanied them on a Sunday club run. (I later found out it is one of the longest established and most highly respected clubs in the country – if I’d known that at the time I never would have dared go out with them!) I was on a cheap heavy hybrid, and as an overweight, unfit, middle-aged worker and housewife, I was slow. But the club captain and members could not have been more supportive – and during the course of several club rides these experienced guys and gals taught my sons more about bikes and cycling than I ever could. The boys then started going on the club rides without me, and this year they joined the team as fully fledged members. It gives me enormous pride to see them in their team strip, competing for fun or just going out for the sheer enjoyment of racing each other around the beautiful countryside we live in. Their road bikes now cost 6 times the price of their first “grown up” bike and our garage now has 9 bikes in it, plus countless boxes of accessories. My washing line is rarely without some sort of Lycra, and the kitchen is awash with water bottles and energy drinks. It’s a small price to pay for what we get out of it. I am not a member of the club – I know I’m still welcome on club runs, but I think it’s good for my sons to have a social life which is not orchestrated by parents. I continue to cycle casually with girlfriends. I now have two decent bikes of my own and enjoy charity sportives. But the best rides are always the ones where me and my boys go off on a 25 or 30 miler as a family. None of us can use our phones whilst riding (Strava excepted) and we cycle along together chatting, laughing at (or lauding) each other’s attempts to achieve a new PB. 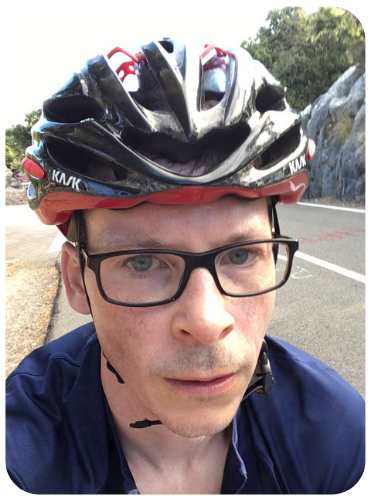 I’ve cycled London to Cambridge for the last two years, I completed RL46 in a decent time last year, and I’m doing it again this year – this time with my younger son. Cycling has to be one of the best family activities you can do. It’s outdoors, it’s exercise, it’s family therapy, it’s bonding. Try it. I took 7 1/2 years off from cycling when my twins were born. In 2014 a car accident left me with a terrible pinched nerve in my neck. The physical therapists told me the worst thing I could do was get back on the bike. However, I knew that some of the pain was also coming from built up stress in my shoulders. In 2015, after the terrible winter we had in tghe Northeast, I hopped on my road bike for the first time in almost 8 years. It was 45 minutes of pure pain. I have done nothing but look forward, riding better than I did 10 years priors, riding my first century in over a decade, I am also training for the Dirty Dozen in Pittsburgh this coming November, and to top it off getting my first new bike in almost 20 years. The neck pain and pinched nerve, GONE!! !